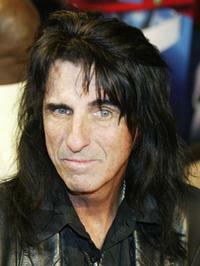 Alice Cooper at the Classic Rock Roll Of Honour. 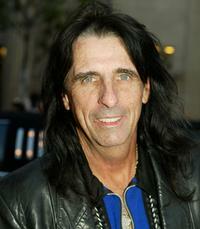 Alice Cooper at the premiere of "X2: X-MEN UNITED." Alice Cooper at the premiere of "The Jacket." Alice Cooper at the Gala Dinner of the Northern Rock All Star Cup. 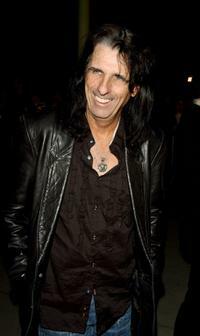 Alice Cooper at the Varvatos 2008 Fashion Show. 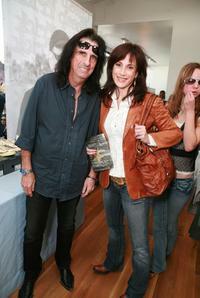 Alice Cooper and Sheryl at the John Varvatos 6th Annual Stuart House Benefit. 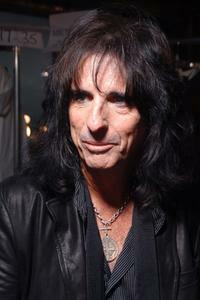 Alice Cooper at the preparty of the 10th Annual ESPY Awards. 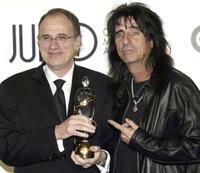 Producer Bob Ezrin and Alice Cooper at the JUNO Gala Dinner and Awards ceremony. 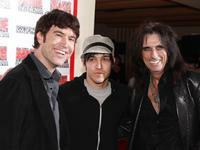 Tom Anderson, Pete Wentz and Alice Cooper at the 1st Annual U.S. NME Awards. Alice Cooper and Ike Turner at the party of Mojo Honours List Awards Ceremony. 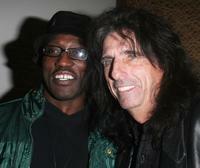 Wesley Snipes and Alice Cooper at the LA Confidential party, to celebrate Oscar nominee Jamie Foxx. 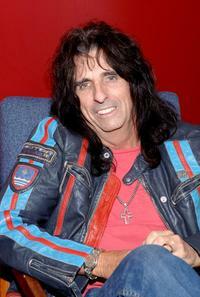 Alice Cooper at the MOJO Honours List Awards. 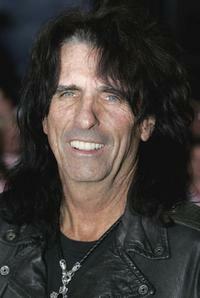 Alice Cooper at the JUNO Awards ceremony. 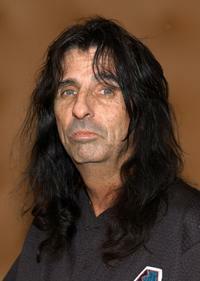 Alice Cooper at the "ROCK SCHOOL" after party. 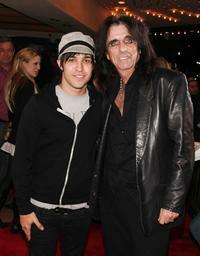 Pete Wentz and Alice Cooper at the 1st Annual U.S. NME Awards. 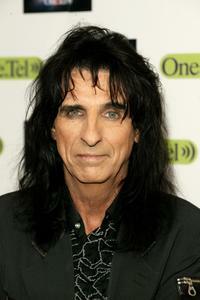 Alice Cooper at the British Comedy Awards 2003. Tim Robbins, Joyce Varvatos and Alice Cooper at the John Varvatos 2008 Fashion Show during the Mercedes-Benz Fashion Week Spring 2008. Tim Robbins and Alice Cooper at the John Varvatos 2008 Fashion Show during the Mercedes-Benz Fashion Week Spring 2008. Calico Cooper and Alice Cooper at the LA Confidential Magazine's Annual Oscar Party. 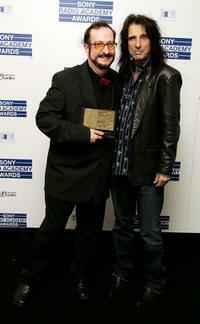 Steve Wright and Alice Cooper at the Sony Radio Academy Awards. 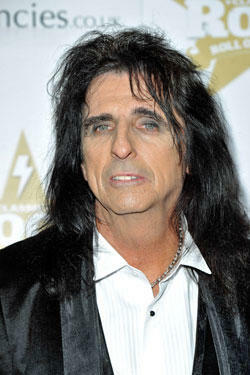 Alice Cooper and Guests at the Fourth Annual MusiCares Benefit Concert.